Airline travel is more difficult than ever. Airline travel with gear is even more so. 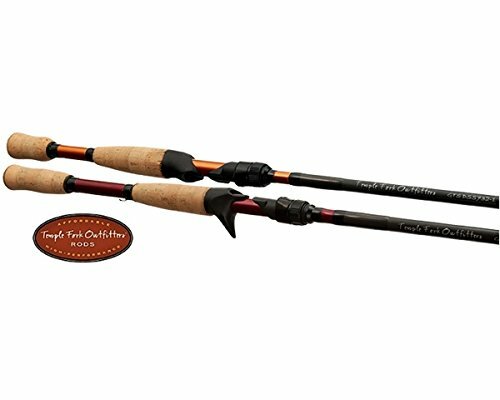 The Carry-On family of Magnum action, fast/stiff rods are easy to travel with and cover a wide range of fishing conditions: from light surf to jetties, bass in the Northeast to salmon in the Northwest. These rods are finished with a full grip and fore grip made from a combination of burl and premium cork and GTS guides. By utilizing a new proprietary scrim in conjunction with TFO's high modulus carbon fiber blank material, Gary was able to save weight and increase sensitivity without sacrificing strength. GTS blanks are tastefully finished; simply polished, with a thin layer of matte clear coat to enhance the natural luster of the fibers, TFO's trademark Color ID Split grip is further complemented by a two-piece reel seat and a natural cork ring split grip. If you have any questions about this product by Templefork Outfitters, contact us by completing and submitting the form below. If you are looking for a specif part number, please include it with your message.